CONGRATULATIONS TO ALL OUR 2019 GRADUATES! Watch how our Alumni, staff, students and friends were entertained by AdLib Entertainment, graduates and students of Nelson Mandela University, at our Sikunye Alumni Jazz Event in Aid of the Alumni Fund. Students at Nelson Mandela University (NMU) must work consistently, manage their finances, ask questions and lead a healthy lifestyle. 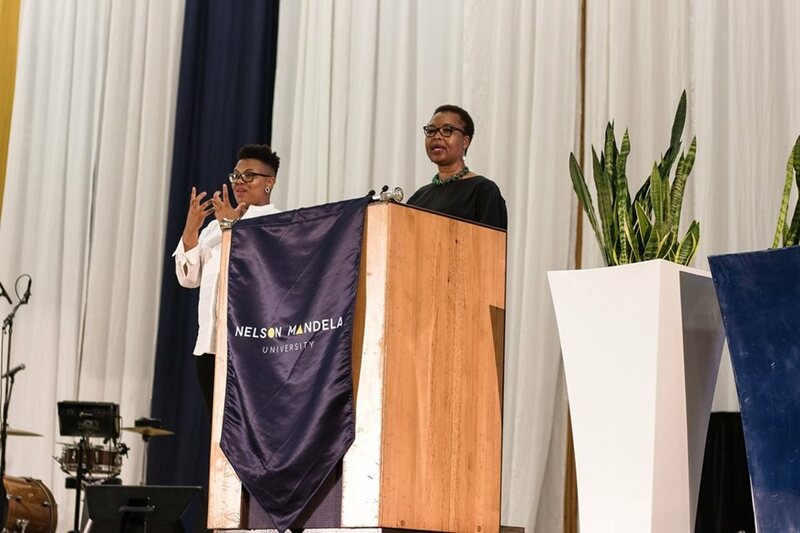 This was part of the message from vice-chancellor Professor Sibongile Muthwa when she welcomed thousands of new students to the university on Saturday. 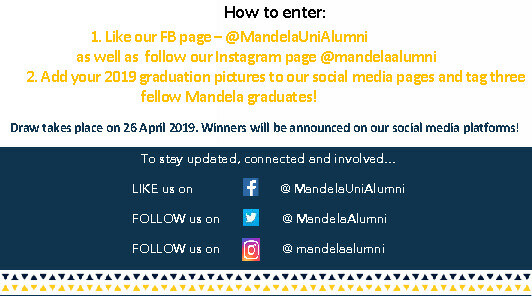 Some of our alumni award recipients from across the globe have shared their inputs on what the name Nelson Mandela means to them. Our alumni represent the global footprint of the University and proudly share in the celebration of the new name and the value of our association with such an iconic leader.